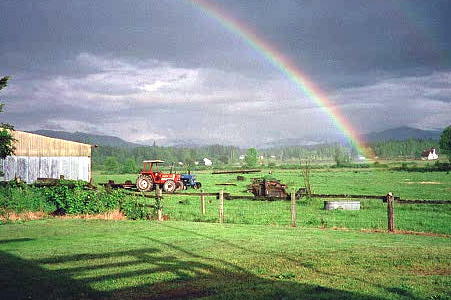 Each year we have high-quality 1st and 2nd cutting hay available in the field or out of the barn. We also have dry round bales and haylage. For more info on our hay go to our HAY page, or contact us. A second stand of white pines get planted. Click here for more details. For 2012, the family has decided to take another year off from putting on the festival. 2010's festival went great and we had around 300 people thru the day. I will be making a page of photos and descriptions and when it's done, you can see it by clicking here. When we plan our next event, we'll have it posted here. Welcome to the Murray LLC website. 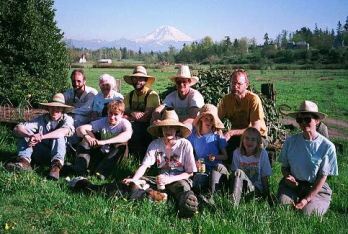 Members of the Murray family jointly own and operate the corporation, raising hay and timber. Family members also operate their own independent businesses. These ventures include jazz piano, Hereford beef, peonies, and excavation services. More information about them can be found by following the links listed on the left side of this page.